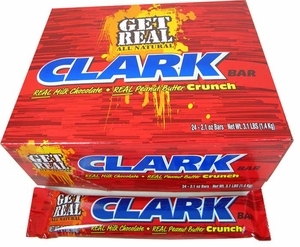 Clark Bars are a classic American institution that first got their start in 1886. 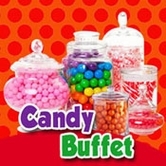 Since then, it has grown to be a favorite for both chocolate and peanut butter lovers alike. 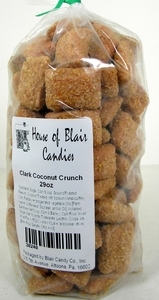 Now you can get your hands on this classic nostalgic candy any time you want from Blair Candy! 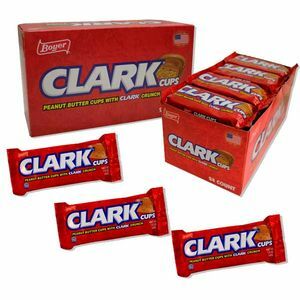 Indulge in full size Clark Bars, or try new Clark Bites. 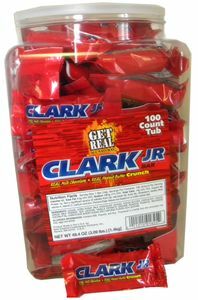 Clark Bites feature the same chocolate and peanut butter flavor � just shrunken to a fun bite size! We also have delicious Mini Clark Pieces, which can be used as a topping or in a variety of tasty recipes.